On the drive from my office in Redmond to her office in Prineville, my mind alternated between racing 100-miles-per-minute and completely stalling out. It was the end of the workday when I arrived and she was waiting for me. I feel so fortunate Dr. King is my doctor. She was gentle with her words and direct with her plans. She had thought through almost everything by the time I arrived and was able to comfort both my mind and spirit that day. I left Dr. King’s office and headed down to the fairgrounds to hang arena banners with Kim and Matt Griffin, my sons, and our Wild Hogs 4-H Club. The county fair was scheduled to start in just a few days and there was work to do. I decided to keep my diagnosis to myself during that week. It’s one filled with long days, tired kids, and stressed-out parents already. It was also a blessing in disguise. I had non-cancer things to think about and do as the shock of the diagnosis settled. Towards the end of fair, I told a few friends. I remember sitting and watching the livestock auction with Cathy Fall, speculating over sale prices and worrying over kids in the chutes in between our own tears and quiet conversation. Starting the next day, the pace of cancer life picked up. I had to tell my boys, Connor and Miles. 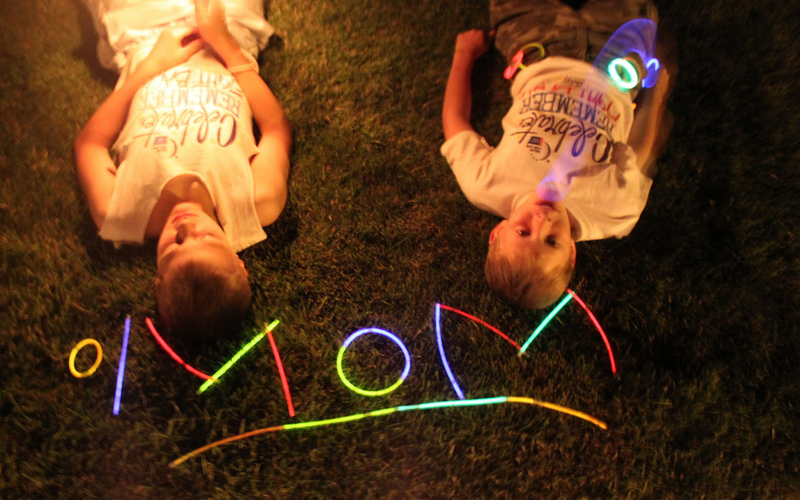 I suspect, if you’re a young boy, you want to hear your mom say the word “cancer” only a little less than you want to hear her say the word “breast.” They’re tough boys, though, and handled everything from the initial news to the added worry and strain over the past two years like champs. I’m thankful for them and their love. Thankfulness. That’s what I want my cancer story to be about…. This is my first cancer-free summer. I’m thankful for my family and friends who provided solid support, care, concern, and prayers all along this journey. Whether it was AJ Pickhardt’s homemade meals after weekend football games, the “I Love Boobies” bracelet Nash Porfily brought me back from Portland, or the rides to chemo and silly or beautiful hats from my dad and friends like Stephanie Fahlgren and Barbara Punch, I appreciated each. There’s not enough space in this week’s paper for me to list everyone individually. I am humbled by and thankful for each of my heroes, named and unnamed. I’m thankful for my church family at Our Savior’s Lutheran Church. The prayers, shawls, hugs, and love all worked. I remember talking about faith with Pastor Barbara on one of our drives to chemo. I have a quiet, but solid faith in God. (I mentioned I’m a Lutheran, right?) God’s love has been a sure and strong presence throughout my life. It certainly didn’t lessen during the past two years. I’m thankful for His love that allowed me to feel an underlying calm and hopefulness, even during the most worrisome days. I’m thankful for my work family at the High Desert Education Service District and Crook County School District. The timing of my diagnosis was about as complicated as could be. I had just taken on three large projects for the upcoming school year. It was going to be a busy year without juggling surgeries and chemo. We made it through with laughter, love, chocolate, and my coworkers’ unending patience with my complicated life. These two years were pretty successful, despite cancer. I was able to travel and talk abut the exciting things happening in our schools in Central Oregon. Bragging on our students and teachers is one of my favorite things to do. I’m thankful I was able to continue it during treatment, even though it does mean I have a bald-as-a-cue-ball passport photo. I’m very thankful for my doctors. Dr. Kowalski, Dr. Braich, Dr. Leffel, and Dr. King kept me informed, healing, and healthy enough to beat breast cancer AND work a crazy schedule, walk crazy miles, and attend my sons’ sporting events, concerts, and activities. And so all this leads me to my thankfulness for the American Cancer Society and the Relay for Life. 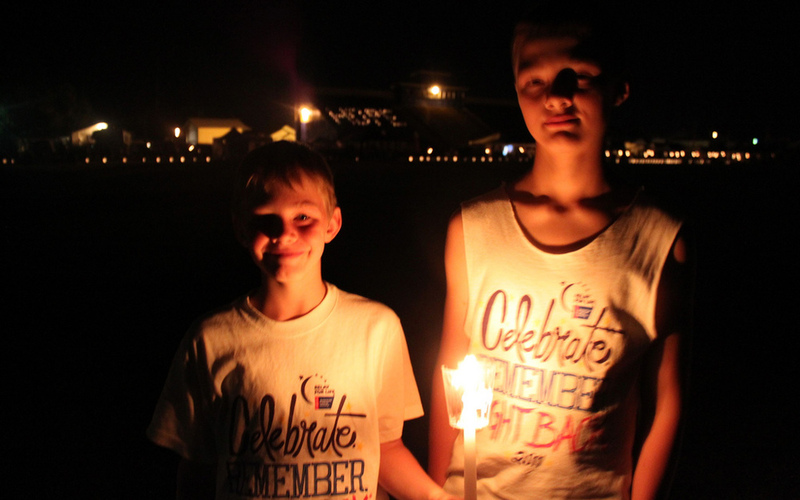 I began walking the Relay for Life eight years ago, with my younger sister Laura. At the time, Laura was a recent, too-young survivor of ovarian cancer. I’m both proud and thankful she’s been in remission all these years since. Her Central Illinois team has raised tens of thousands of dollars. We are both able to be thankful for great doctors and advances in care because of the fundraising and advocacy campaigns of this organization. I’m able to talk about breast cancer publicly, cheer loudly at the Tough Enough to Wear Pink rodeo night, and laugh at funny, irreverent breast cancer bracelets and T-shirts, because of the awareness the American Cancer Society has promoted. I’m thankful I’ll be able to walk and cry on the survivors’ lap this weekend because of our local American Cancer Society outreach efforts. I’ll cry in sadness for those who have gone before us too soon, especially Liz Kaufman. And I’ll cry for her Bi-Mart family who misses her dearly. Many of us have been affected by cancer. I’ll walk in thankfulness for each cancer-free day I’m given and for the survivors who surround me. The Relay is our opportunity to be thankful for the successes and advancements, but still stubborn about the work and fundraising that needs to continue. I’ll be even more thankful when there are fewer tears than hallelujahs in the future. You are an inspiration and so are these comments. I have always said "Attitude is the key" and you are living proof. 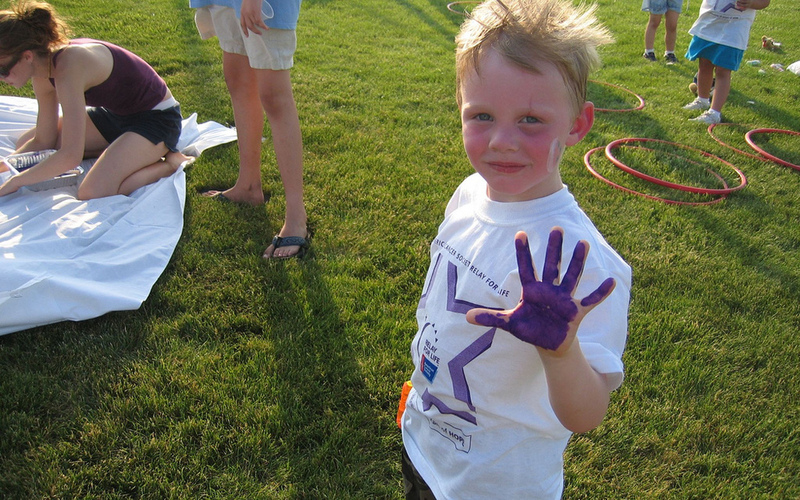 I am grateful that you are walking the Relay for Life this summer, too. Your words are moving and powerful. Thanks for them.